Weekend Food Project: Rice. Really, just plain rice. Rice. Really, just plain rice. I know what you are thinking. Is there anything easier or more boring to make than rice? Boiling water and rice until soft and fluffy. Maybe a little salt. Yes, I hear you. That is what I thought too. However, this is one of those life improvement posts that you will thank me for. Behold internet people, I give you the Zojirushi. 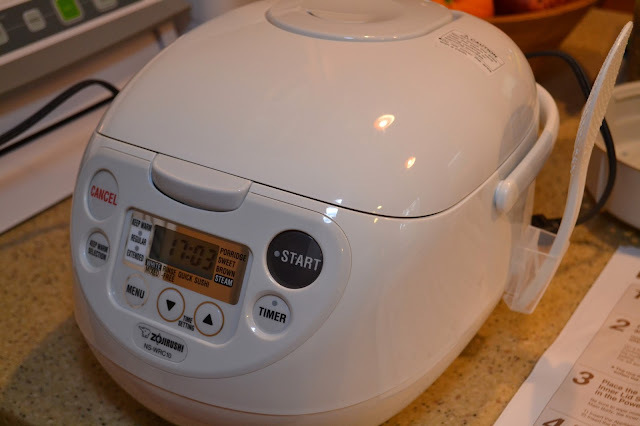 I did a lot of research to find a rice cooker that would result in a consistently great rice. We've tried the standard rice, instant rice, rice in a bag, microwave, french method, etc. Every time, it came out different and usually not that great. Make rice that turns out consistently great. 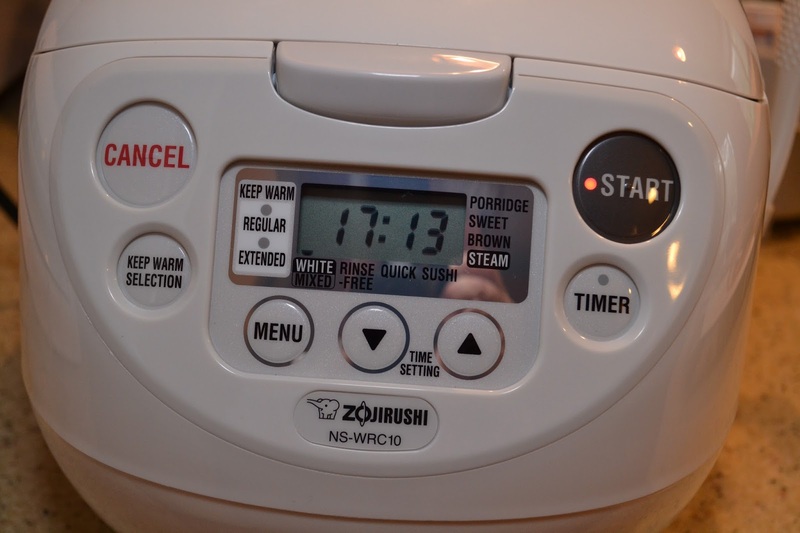 The Zojirushi takes rice cooking seriously. It has instructions for a variety of rice types but for our purposes we are going to make plain white rice. First, it turns out you need to rinse your rice people. 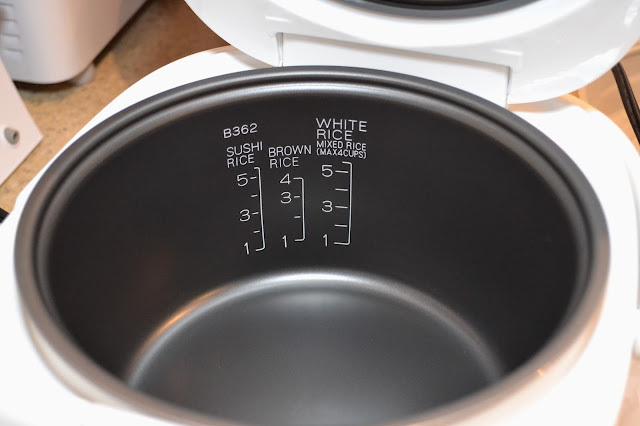 Zojirushi recommends that you measure your rice (the amount you want to make) using the provided measuring cup. 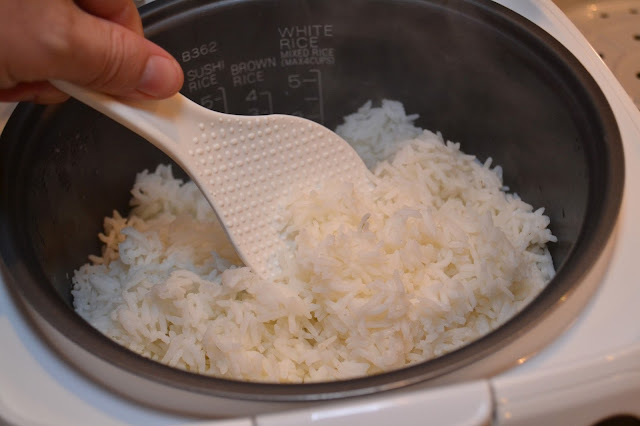 Once you have the amount correct, add water to the bowl and agitate the rice in the water with your hand 20 times then empty the water and add more. Repeat this for 3 minutes. This eliminates some of the gluten dust that is in the rice as a by product of the refining process. 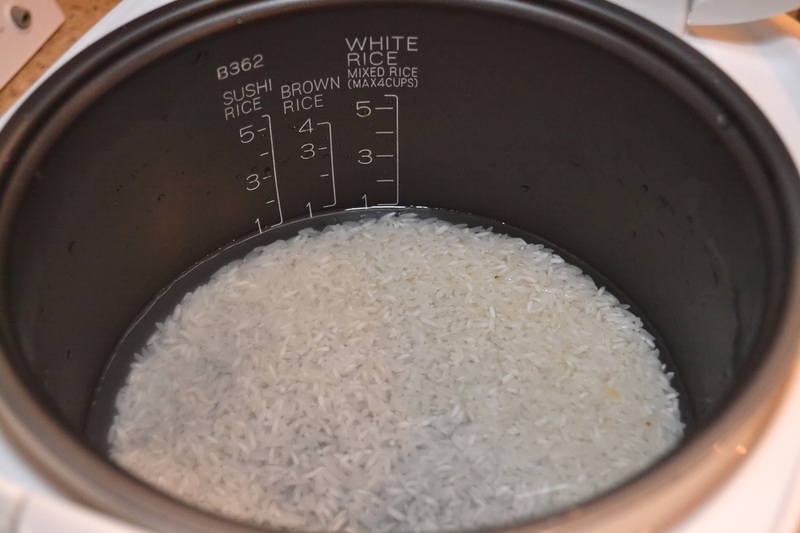 Once you have clean wet rice you use the measuring marks on the cooker bowl to add water until the combination of the rice and the water reaches the measuring mark. For example. To make one cup, you measure one cup of dry rice with the provided measuring cup and then (after washing) add water to the bowl until both the measured rice and the water reach the white rice 1 cup marker. Then it is as simple as closing the lid and hitting the start button. Let the cooker do the work. It takes about 40 minutes or so to let it do it's magic. After cooking the Zojirushi plays a clever little tune and voila! perfect rice! It really does make perfect rice every time. 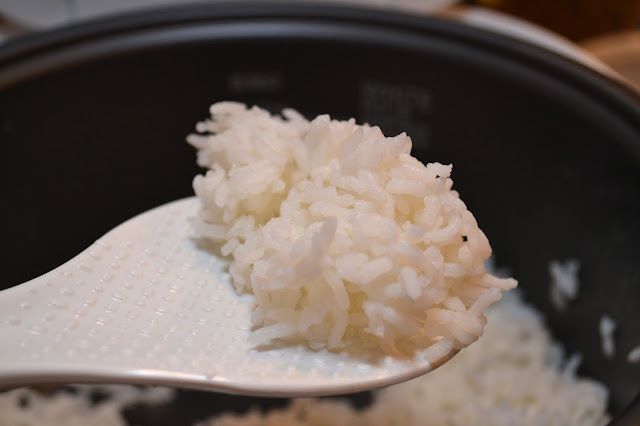 If you struggle with the mundane art of making rice like we did, I recommend the Zojirushi. One less thing to worry about. Great! It would be the perfect choice for my weekend. 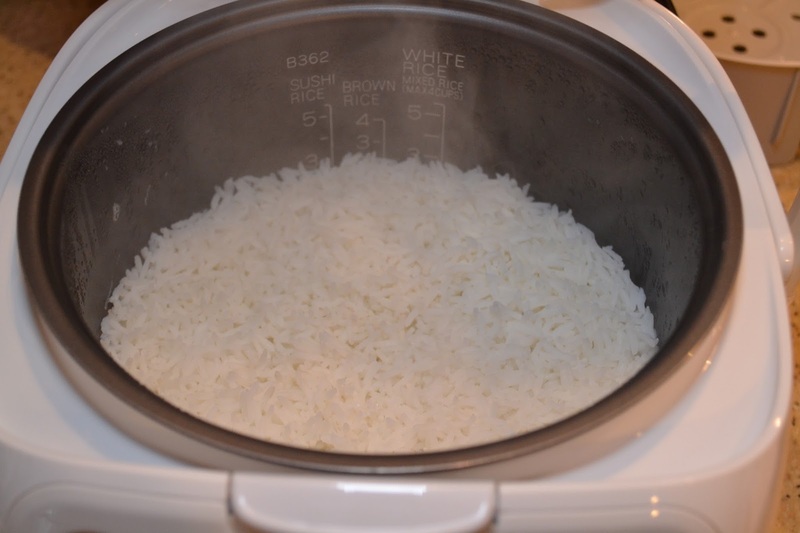 My favorite rice cooker! Thanks for sharing.